I love +1/+1 counters decks, and I've used a lot of these cards before, so it's almost like looking down memory lane here, lol. The only thing I really want to say here is that some Flashback in the deck would be nice. something like Thrill of the Hunt or Travel Preparations would be cool, but maybe also Acorn Harvest, Battle Screech, Folk Medicine, Gaze of Justice, Sylvan Might, etc. etc. You could probably remove 2 and 2 of Scatter the Seeds and Gather the Townsfolk to make room if you wanted (or just drop Scatter altogether). what needs improving? Speed? 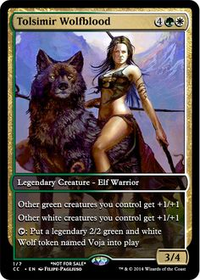 Protection against removal? Thanks for the feedback! This deck is still very much a WIP, reflecting only what I currently have in physical paper and not what I necessarily would make in an ideal world. 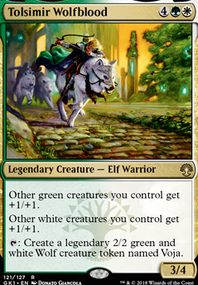 I'm working on obtaining some of the cards in the maybeboard, and then will take out the Plains, and replace the Lifespring Druid, Folk Medicine (as I agree they are too much investment for not enough payoff), and maybe most of the rest of the non-creature spells with cards like Timberwatch Elf, Presence of Gond, and perhaps something like Molder. I don't think I need Elvish Mystic because basically all of my cards are 3 mana or less... I don't really need much mana for this deck. Generally, auras, especially ones that you attach to opponent's creatures are not good, due to the abundance of board wipes in the format. So, I would recommend dropping Arachnus Web, Sigil of the Nayan Gods, and Snake Umbra. 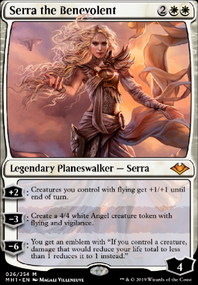 The other auras you have in there are OK because you want to give your commander unblockable. 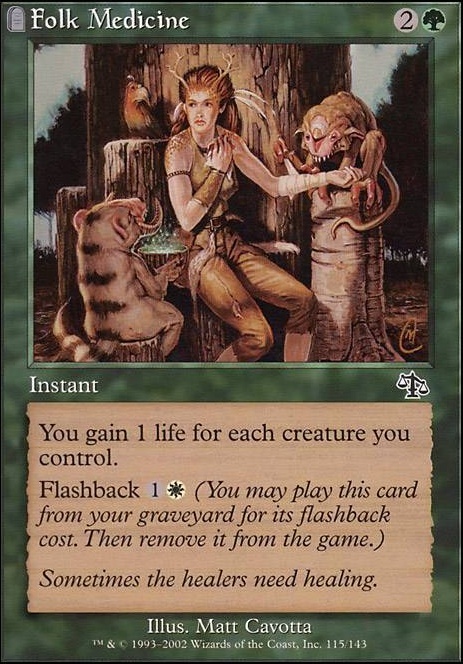 Weak life gain effects such as Folk Medicine are not good in EDH either. 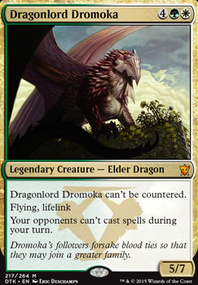 A good card to add to your deck may be Outnumber. Bro, I like your deck. It's one of the earliest squirrel decks on this site, and it definitely deserves the 1000+ upvotes it has received. That being said, I still think it could use a bit more developing. 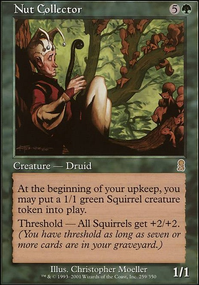 Maybe adding/replacing a few card to make it legal for tournament play while still supporting the idea of infinite squirrels. I've got a maybeboard full of potential modifications on my squirrel deck, if you want to check it out (Squirrel Deck). In the meantime, you could consider adding in a Folk Medicine to your deck. It's cheap and it's an instant, so it can be used in case your opponent pulls out a 25/25 with forestwalk.